This Samsung Galaxy S6 edge+ is a GSM / WCDMA / LTE Category 9 device supporting carrier aggregation. TEMS Pocket on this device is POLQA-capable.  Integrated GPS with A-GPS support. This Samsung Galaxy S6 Active is a GSM / WCDMA / LTE Category 6 device branded by AT&T. TEMS Pocket on this device is VoLTE-capable. 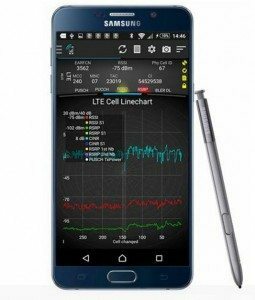 This Samsung Galaxy Note 5 is a GSM / WCDMA / LTE Category 9 device supporting carrier aggregation. TEMS Pocket on this device is POLQA- and VoLTE-capable. 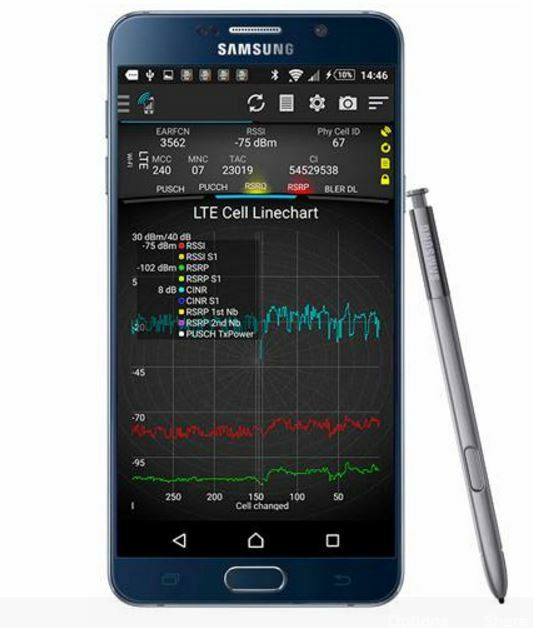 This Samsung Galaxy S6 is a GSM / WCDMA / LTE Category 6 device supporting carrier aggregation build for a global market. TEMS Pocket on this device is POLQA-capable. It is now possible to change Graph History Length in TEMS Pocket. You can choose to display 1, 2, 3 or 5 minutes of data in graphs. This application setting affects all line charts in TEMS Pocket. 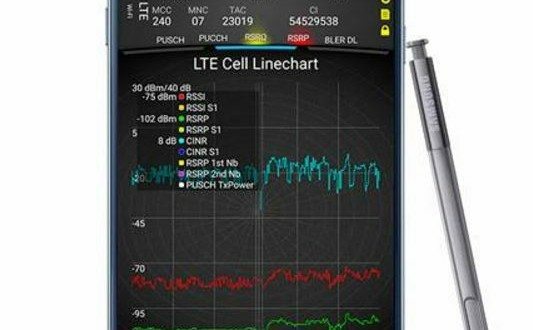 Up to three (3) simultaneous LTE cells can be showed and recorded in TEMS Pocket 16.0. TEMS Pocket 16.0 supports up to 14 simultaneous devices (agents) connected via Bluetooth to one controller in comparison to prior seven devices. A new control function on Sony and a selection of Samsung devices allows you to lock onto a single GSM cell. With new release of Tems Pocket Ascom keeps leading position in Network Testing Industry. New Samsung Test terminals with unique support for Shannon chipset devices will surely be widely accepted. Remains to be seen how will competition respond.